Winter wheels are essential for driving on icy surfaces such as snow, or when temperatures fall below 7°C. They are designed and tested to work in conjunction with the world-class safety features in your Volvo. 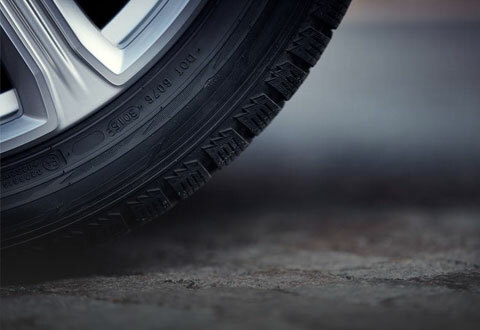 Volvo has selected and approved the right tires for your car to provide you with superior winter driving performance. The result is a winter tire offering that provides you with the best possible grip, performance, durability and noise levels. 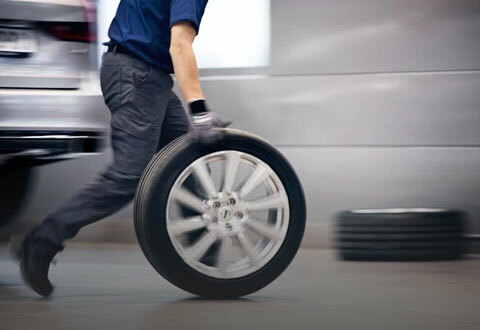 We have combined them with Volvo Genuine Wheels designed to offer the quality and durability that only a genuine Volvo part can offer. Your Volvo features cutting edge driving technology, called Intellisafe, that keeps you safe. However, the active safety features in your Volvo are only able to manage available grip. We know that safety and security were part of your decision to purchase a Volvo. Using summer or all-season tires in the winter compromises the effectiveness of many driver support features which rely on tire grip to avoid a collision. Winter brings along different weather conditions that can affect the way your car drives. Even when there is no snow on the surface of the road, the cold pavement affects the way the rubber in your tires behave. Unlike summer tires, the rubber compound in winter tires remain soft and flexible, allowing it to conform to the surface of the road, providing better grip. 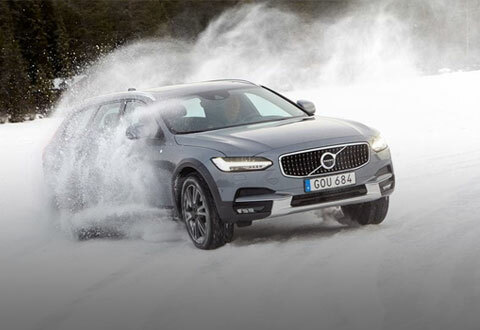 With Genuine Volvo Winter Wheel Kits, you don't have to wait until the weather reaches sub-zero temperatures. As soon as the temperature drops below 7°C, winter tires already provide enhanced grip vs. summer and all-season tires. 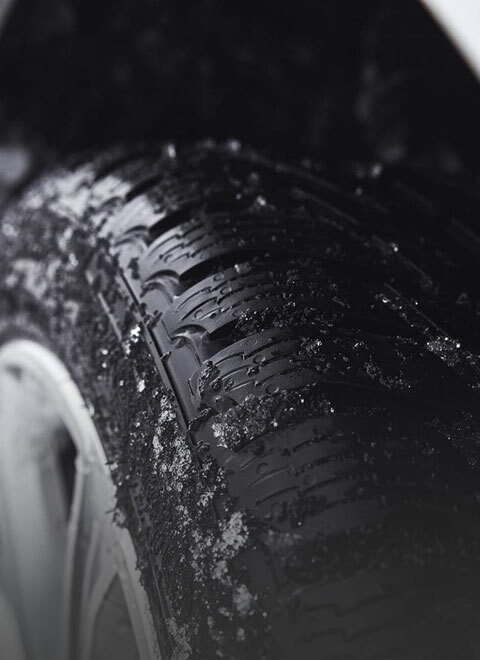 In addition to the rubber compound, the tread pattern is designed to provide better grip on ice and snow and to evacuate water and slush away from under the tire, allowing the tire to penetrate through to the surface of the road. Your Volvo retailer has a kit ready for your car. These kits are already balanced and ready to go so when you walk in, the retailer only has to bolt them on your car. 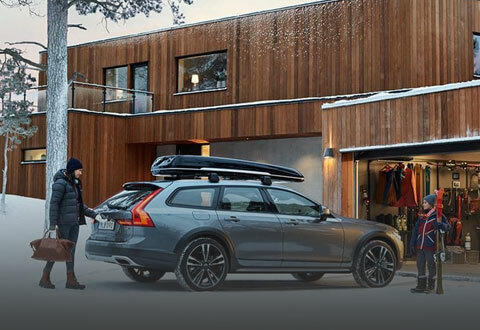 For the coming winter season, your Volvo retailer may be able to store your winter kit for you making the seasonal changeover fast and easy. 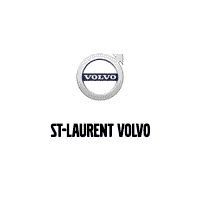 We built your Volvo, we know it best! Generic Wheel Kits often require adapters that may cause vibration if installed incorrectly. Genuine Volvo Winter Wheel Kits are designed specifically for your Volvo, removing the need for adapters, which leads to a hassle-free experience and quick installation. Genuine Volvo Winter Wheel Kits are also tested to withstand the demands of your Volvo on your wheels and feature advanced corrosion protection with multiple layers of paint to ensure a high quality and durable finish year after year. Not only are these kits long-lasting, but they also are designed to compliment the styling of your Volvo.